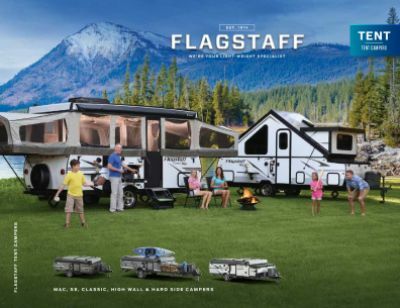 Be the talk of the campground with the 2020 Forest River Flagstaff Classic 425D! This Folding Pop-Up is ready for the road! Stop by 7210 E Saginaw St East Lansing Michigan 48823 to see why Gillettes Interstate RV is one of the top RV dealers in Michigan! 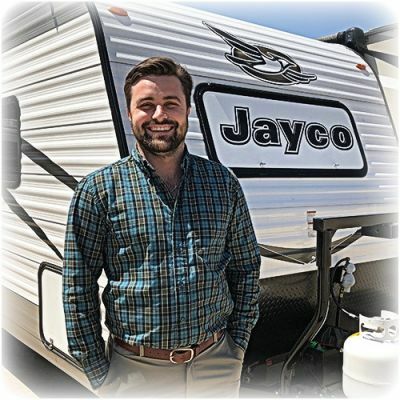 Call 517-339-8271 to talk to one of our RV experts today! 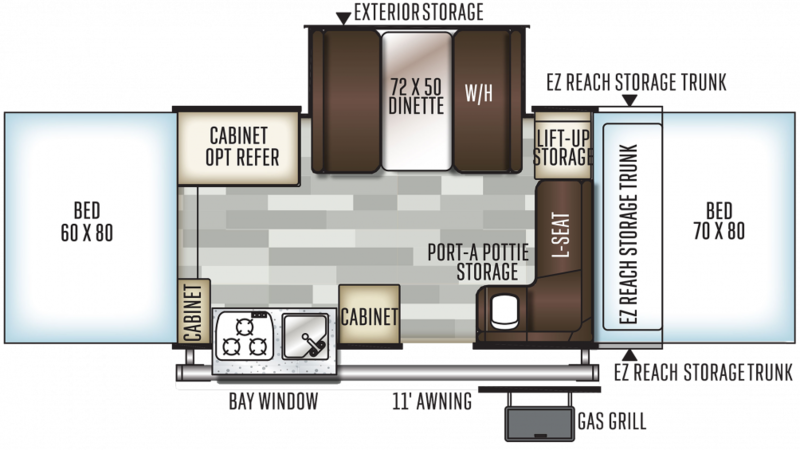 Walk around the exterior of this beauty and you'll enjoy the cool shade of the 11' 0" awning! With its GVWR of lbs. and hitch weight of 297 lbs., you can reach destinations you couldn't imagine before! You won't need to survive on s'mores and fast food during the whole camping trip! The kitchen features a 3 burner range cooktop and a 2.50 cu. ft. refrigerator! Keep the dishes clean in the sink, thanks to the 20 gallon fresh water tank!